WordPress is famed for its versatility. With tens of thousands of themes and plugins available online, you can build a feature rich website using WordPress with no knowledge of coding. Of course, if you want to use themes and plugins to build your website, you are restricted to what solutions are already available. If no such solution exists, you will need to customize your website yourself. You could learn how to do this by following step by step tutorials and referring to resources such as the WordPress Codex. You could also ask for help from WordPress support websites like WordPress Development Stack Exchange. For complex projects, you will need to find a good WordPress developer to help build the website you desire. The price you pay a developer depends on the difficulty of a project, their experience, and what country they are located. While a higher price is no guarantee of quality, you should be wary of developers who quote prices that are too good to be true. Check out similar projects listed on job boards and freelance marketplaces to give you an idea of how much a particular job should cost. In this article, I would like to share with you some websites that will help you find a good WordPress developer for your project. WP Hired is a job board that publishes WordPress related jobs on a daily basis. They cater for part time, full time, freelance, internship, and temporary positions. Jobs are categorized into bloggers, designers, developers, and SEO. It is 100% free to post jobs and reply to job offers. All of their jobs are also promoted to their followers on social media. WordPress.net is the official job board from the developers of WordPress. A wide number of positions are advertised including website migration, theme development, plugin development, and design and development. It is free to post jobs to the board and its affiliation with WordPress.org ensures that a lot of people will see your advertisement. The WPMUDev job board publishes WordPress development requests every day. Jobs detail the project budget and the due date for the project. To publish a job advertisement, you need to sign up as a WPMUDev member. This currently retails at $39.60 per month. A lot of great WordPress developers look for work on their board, so this could prove to be money well spent. The Smashing Jobs job board publishes design and development jobs every day. All positions are advertised as freelance or full time. It costs $75 to publish a freelance position and $225 to publish a full time position. Tuts+ Jobs replaced the old FreelanceSwitch job board. Jobs are advertised on a contract, part time, or full time basis. For the time being, it is 100% free to publish a job offer; however the cost will soon rise back to $99 per listing. Simply Hired is a huge job website that has regional websites across the world. They charge $99 to post a job advertisement for thirty days. A number of tech job boards are powered by Simply Hired. For example, Sensational Jobs pulls related design and development jobs from the Simply Hired database. Krop is a job board that is popular with designers and developers alike. It is mostly used to promote ongoing freelance and contract work; rather than small one off projects. It costs $199 to post a job advertisement for thirty days. Be prepared to pay a good rate as the standard of developers is very high. With over ten million users, Freelancer is by far the most popular freelance marketplace online. It gained this position in just a few years by acquiring several large marketplaces such as GetAFreelancer.com and ScriotLance.com. Freelancer’s pricing policy is a little sneaky. When you attempt to publish a job, you are advised that they only charge 3% of your project cost as a fee. You can only receive this price if you choose their premium membership plan of $199.95 per month. Their standard membership plan at $24.95 per month charges a commission fee of 5%. All of their other plans, including their free plan option, charge you 10%. This is not a large fee if your final project fee is small, however it could be considerably more if your final project fee costs thousands of dollars. Founded in 1999, eLance is one of the most well known freelance services online. It is used by hundreds of thousands of designers, writers, and developers. There is no fee for posting jobs, however freelancers will have 8.75% of the total cost of the project deducted from their earnings. Membership plans are available that allow employers and freelancers to promote themselves better on the marketplace; however the fee remains at 8.75% for all freelancers. The Odesk marketplace was created as a way for businesses to hire remote workers. It merged with eLance at the end of 2013, however both websites continue to operate separately. It is free to post a project on Odesk, though freelancers have 10% of their earnings deducted as a fee. Therefore, if your project costs $500, the freelancer’s take home pay would be $450. PeoplePerHour is a UK freelancing marketplace that supports payments in UK Pounds, US Dollars, and Euros. They have an interesting option called hourlies that allows you to post small tasks for developers to complete quickly. Posting a job offer is free, with the cost of doing business being absorbed by freelancers. They have a unique way of charging freelancers that encourages them to use their service every month. Rather than charge per project, they charge freelancers 15%, excluding VAT, for the first £175, $280 USD, or €210, billed that month. After that, they are charged 3.5% plus VAT for all remaining projects. Originally launched as eMoonlighter.com back in 1998, Guru is a freelancing marketplace that focuses on development, design, writing, IT, and admin. It is free to post a job to the Guru marketplace, however there is a $29.95 upgrade option that marks your job advertisement featured. This apparently increases bids received by 50%. Freelancers have a 8.95% fee taken from their earnings. This can drop down towards 4.95% if you purchase a premium membership. When you post your job description, try to give as much information about your project as possible. This will help applicants know whether they are suitable for your project and save you from answering unnecessary questions. Please also remember that in freelance marketplaces, reputation is everything. You can rate the quality of service received by freelancers, however they can also rate you. It is therefore important to remain polite and professional at all times; even when they are not. If you mess around a freelancer, their bad rating of you could scare other developers from ever working with you. The wide reach of the internet has opened up an avenue that was never before available to the small businessman – outsourcing work to a global pool of workers. WordPress is an extremely popular platform, and you will find thousands, if not hundreds of thousands, of professionals working globally. This gigantic pool of talent is willing and able to handle almost every job imaginable. Outsourcing is so easily available; to be honest, it’s almost a fad. You will find people shipping out work that doesn’t really need to be sent away, receiving completed tasks that wouldn’t be worth the bandwidth consumed, and expending way more resources than a job would have otherwise required. Striking a balance is the key. In this article I will explain how to unlock the potential of outsourcing and delegate your work efficiently and effectively. Businesses cannot run as a one-man show, especially if they intend to scale. A good team is the greatest asset of your business. Once you start delegating your work and free yourself of micromanaging tasks, you can put your energy and efforts into the core of your business and finding ways for it to grow. You get more time for personal and professional gigs, and your business gets a shot in the arm. A small business probably wouldn’t be able to afford hiring several people, and that’s when you pick up sub-contractors. Depending on how well you spread your talent search and your requirements, you might very well get hold of an experienced rockstar developer looking to make money on the side, or a total newbie trying to get hold of some job. You could very well hire someone from the other corner of the world. There is an inexplicable joy in assigning work in the evening and waking up to find it completed and waiting for your attention. You may have been asleep, but the gears on your business continue to churn. Before you attempt outsourcing, make a clear roadmap. Decide what can, and what must not, be outsourced. The core part of your business should never take a trip down the outsourcing lane. Identify the core competencies of your business and make it a point to keep them in-house. For example, as a WordPress developer you may want to keep your personal approach to WordPress development and problem solving to yourself. Once you let the cat out of the bag, you lose your unique edge over the competition. Don’t outsource something just because you don’t feel like doing the work yourself. There must be a tangible benefit to outsourcing, and “I didn’t feel like doing it” is not one of them. Don’t outsource what can be automated. Employ tools that can remove the grunt work from WordPress development and let you focus on creating code, rather than managing it. Tools like Grunt and Gulp can help to take monotony and repetition out of the equation, and keep your focus on things that really matter. Similarly, powerful WordPress themes like Divi can enable a developer to create a fantastic UI and front end with endless possibilities without too much work. See if there is a plugin or resource available for your task. The WordPress repository has countless plugins to handle a wide range of operations. There are also several websites that offer paid (or premium) plugins targeted at specific tasks. You could find a free plugin, or buy one that would end up being cheaper than hiring someone. if there is a plugin or resource. The first thing to cross the threshold are usually the monotonous tasks. If your projects include tasks like data entry, they are prime candidates for outsourcing. Accounting is also something that most small businesses outsource. Virtual Assistants are increasing in popularity. You get to take care of the heart and soul of your business, while the assistant handles simple jobs, manages your schedule and keeps your time available for more constructive work. A virtual assistant could also work as a first point of contact for your clients and answer basic questions or queries. Remember the previous lesson in a setting like this; your VA should not have access to core competencies of your business, nor a direct line to your clients. You could also outsource for brainstorming and getting new ideas. Businesses often get trapped in the artificial boundaries of their own work culture. Allowing a fresh mind in to handle some tasks could bring in new ideas and shake things up a bit. Financial benefits are probably the biggest reason and the largest contributors to outsourcing. Sending work to a developing nation can usually result in big savings. It’s not really difficult to find unskilled workers willing to work at $1-$2 per hour. However, do keep in mind that the quality of work is always dependent on the amount you’re willing to pay. Good, professional work is never cheap. The gains of outsourcing to a developing country come from the difference in the cost of living. Always pay fair and keep the local costs in mind. If someone is developing a custom WordPress site for $20, only a miracle will return a decent site. Fair pay for a fair day’s work. That is how it should work, and how it does work. If your project is lower than the basic pay in the sub-contractor’s country, it is likely to be ignored by most freelancers. Sometimes, new contractors will agree to work for a low wage to build clientele. A low paying project will be squeezed out as soon as a better project comes along. Get to know the person you are handing the job over to. Do a web search for your freelancer and see their reviews. An established sub-contractor may be slightly more expensive, but you can be sure that your work is in safe hands. An established freelance reputation is of course, the best part. However, it pays to remember that everyone starts new. Don’t be scared of considering those who have just made their entry into the world of outsourcing. Being thorough should land you with an excellent sub-contractor who has a lot of time to devote to your project. Before you hit the market to outsource your work, make sure you are clear about what you want. Spend some time creating documentation for the job. You get to clear your ideas, and the sub-contractor will have the ropes to get started. Asking your recruit to design a “magazine-style WordPress theme” is unlikely to get you anywhere. Be clear and upfront with your requirements and expectations. This will also give you a good idea of whether or not the sub-contractor is the right person for the job. If he can understand your approach and your ideas, you’ve got your man. Being clear about what you want enables you to be certain about the person you hire. Clarity in communication is indispensable. You want to make sure that the sub-contractor knows exactly what you need so that he can deliver the goods. Sub-contracting work is a lot like a regular job, and you are the supervisor. Be available to clarify on points, give clear instructions and make sure the sub-contractor and you are on the same page. A successful outsourced job is heavily dependent on the relationship you share with your recruit. You will be the one setting the tone of the conversation, so set up channels to communicate for your convenience and benefit. Treat your outsourced professional with the professionalism you would offer to an in-house employee. Share your vision and ideals with the sub-contractor to make them really invested in the job. There will be mistakes; be prepared for them. Your sub-contractor is only human and will take time to settle into the specifics of the job and the work environment you set up. Give it time and let your sub-contractor grow, but don’t lose sight of your goals. As with any other business, the ROI is the deciding factor when it comes to the success of your outsourcing overtures. Build on your success to create a team of skilled professionals, and cut your losses if you have to. Tangible gains are what you want, and there is no reason to settle for anything else. Your sub-contractor should be bringing in more money than what you spend on him. It is equally important that the contractor also be a valuable addition to your team. Ideally, outsourcing is your tool to building a skilled team without the expense of having full-time employees. You should no longer have to worry about tasks that can be completed without your direct attention and the entire setup should move smoothly. Be objective, but add a degree of ruthlessness. Your team should meet reasonable deadlines and bring results to the table. There is no room for inefficiency. Your time and skill should be spent on developing the core competency of your business, not on managing your sub-contractors. Where to Find the Right Sub-Contractor? This tried and tested method is exceptionally useful. Finding a freelancer through the recommendations of people you know has a lot of positives. Word of mouth is the strongest form of advertising there is, and it does increase your possibilities of finding the right person for the job. Visiting WordPress meetups provides an excellent opportunity for networking as well as finding people with the skill set you desire. Social networks like Facebook and LinkedIn can be excellent hunting grounds. Reddit is one of the most popular websites out there and has thousands of members. The website offers a thriving community of developers and an easy way of posting jobs for your specific requirements. You can visit communities (or subreddits as redditors call them) and post a job listing. Subreddits like ForHire, Jobbit and JobOpenings can be your playground for recruitments. You could also narrow down your search to specific cities or countries with their relevant subreddits. The process is simple; you make an account, add a post to the relevant subreddit and if you find the right candidate, you negotiate a deal with them. Unlike several other boards and websites, Reddit job boards are about direct person-to-person contact. So keep in mind that there will be no dispute resolution or payment assistance from the website. Envato has made a good name for itself in the world of technology. Their offerings like Themeforest and CodeCanyon are already very popular with WordPress users and developers, so it is quite natural that the website make WordPress specific job outsourcing more accessible. A benefit of using Envato Studio is that you can be confident of hiring experienced and vetted professionals. Envato allows shopfronts only after its review team goes through the application of the freelancer. You can rest assured that the person you are hiring has demonstrable skills in WordPress development. Do you ever give any thought to the potential risks that your WordPress business might be facing? If you’re like most small business owners, you probably don’t. Sure, every now and then a “what if?” thought pops into your head. But dealing with client inquiries, lead generation and a mountain of other issues often means that priorities are dictated by the degree of urgency. And that’s the funny thing about business insurance – it’s rarely an urgent matter. Until, of course, it’s too late. Insurance is not an exciting topic. But unfortunately, it’s a topic that needs to be addressed because the future of your business and financial well-being might depend on it. In this post, we’re going to outline the core issues that you should be considering when it comes to insurance for your WordPress business. We’ll also cover some of the different types of insurance you might want to think about obtaining. One of the biggest challenges when it comes to running any small business is the sheer magnitude of issues you have to deal with. Between lead generation, onboarding new clients, technical problems and maybe even employees, something has to be put on the back-burner. Insurance is often one of those things. The need for insurance is a catch 22. There are times when it makes absolute sense. But there are also times where it pays to think carefully before making a decision about whether or not it’s required. The insurance industry will have you believing that you should insure for every eventuality. Just keep in mind that insurance companies are in the business of managing their risk as well as yours. They employ actuaries, who use complex mathematical formulas and statistics to predict the probability of a future event occurring. If an insurance company pays out more than they bring in from premiums and investment returns, they are in a position of losing money. Any time you purchase insurance, you can be sure that the odds are slanted in the favour of the insurance company. On the other hand, if you pay those premiums and end up needing the insurance, you’ll be grateful you have it. The secret here is giving some serious thought to how you, as a business owner want to manage your risk. Luckily, there are many different types of insurance available. This means you’ll be able to look at your WordPress business and determine which areas you feel present an acceptable risk, and which areas require coverage. The vastness of the WordPress ecosystem means that there is also a wide variety of business types. We have developers, designers, hybrids, WordPress maintenance providers, content creators and conversion optimization specialists to name just a few. The insurance needs of each one of these WordPress businesses is going to vary, which is why you need to use your judgement when making a decision. It’s also a good idea to get advice from an insurance broker and a lawyer as well. If you’re working as a sole proprietor, you and your business are considered to be a single entity. That means that you personally are responsible. If a client feels that you’ve done something wrong and they pursue legal action, they can come after you and your personal assets. As we jump in to take a closer look at the different types of business insurance, remember that each decision you make should come with a cost-benefit analysis. Very few people, especially small business owners, can afford to insure themselves against every possible scenario. When you insure your car, you’re often given the option of replacement insurance. If for some reason your car is destroyed, the insurance company will replace it. That’s important right? Nobody wants to lose their ability to get around town – it’s inconvenient. But what if something took away your ability to earn an income. Wouldn’t you find that to be inconvenient as well? You bet you would! Consider for a second, your earnings potential over the next five, 10 or 25 years. If you lost that potential, what would your liability look like and how might your life change? Would it affect your ability to provide for your family? Most of us who are able-bodied and working with WordPress, rely on our fingers to type and or eyes to see the screen. What if you lost that ability? How long would it take to learn the skill again with your disability? I don’t point out these scenarios to scare you. I point them out because most business owners don’t think about them until it’s too late. Health is always a concern. When you’re young and carefree, these things rarely cross your mind. But as you get older, the chances of health problems increase. At some point in time, it might be a good idea to insure your most important asset – yourself. While not all of these insurance types are critical to your business, they can be critical to your ability to earn an income from your business. And that is what it’s all about in the end – your continued ability to provide for yourself and your family. Liability is always a concern for small business. As a WordPress professional working from your home or office, you need to be concerned about what clients or other people may feel you are liable for. Sometimes, unbeknownst to you, a client might have a reputation for being quick to head off to court. For example, if you work from home and have a dog, what happens if a client comes to see you and is injured by your dog? It seems absurd, but these are the kinds of things that happen. Or what happens if a client trips down your stairs and says it was your fault? Maybe those scenarios sound a little too far-fetched for your business? General liability insurance can cover the loss of data as well. If you’re building out a client’s website and you lose 2,500 lines of code the day before launch, what will that delay cost your client in lost revenue? Is it possible that you could be on the hook for damages? Unfortunately, we live in a litigious society. General liability insurance can help to manage those risks caused by personal injury, property damage or bodily injury. Sometimes Errors and Omissions insurance (E&O) is also referred to as professional liability insurance. This type of insurance is designed to cover you in the event that you make a mistake – even if it’s caused by negligence or lack of judgement. Anytime you are providing professional service or advice, E&O insurance is a good idea. We all know the importance of backing up a website before making any changes to a database, right? What if you were tasked with updating a client’s WordPress website to the latest version, or even cleaning up the overhead in their database, and you forgot to backup. What if their entire database was lost as a result of your mistake and their business went offline? What would your potential liability be in this situation? Error and Omissions insurance is as much about protecting you as it is about protecting your client. If both parties are involved in signing a contract, it’s not uncommon for there to be an insurance requirement contained within it. E&O coverage can keep both parties at ease. Any time you bring a partner into your business, it’s a good idea to consider partnership insurance. If you’re running a small WordPress development agency and there are two or three partners involved, it’s important that no single partner is faced with the liabilities of the others. This is one area where getting legal council is an especially good idea. There are various opinions as to the best way to structure insurance products between partners. Corporate insurance owned by the partnership must be weighed against a personal policy and, depending upon your jurisdiction, there can be tax, creditor and family legislation issues that need to be considered. Another angle to be considered is what happens to your partner’s share of the business in the event of death? Would their spouse be your new partner? Or, would you have a buy/sell agreement in place with an appropriate insurance policy that gives you the ability to buy out their half of the company? There are times when the government steps in and mandates the use of insurance. If you’ve managed to build yourself a small WordPress agency and are finally at the stage of bringing on a few employees, Workers Compensation Insurance is almost always a requirement. Depending upon your location, you may be required to purchase a Workers Compensation policy from an insurance company or in some cases, there will be a government body that is responsible for administering the coverage. In most situations, if you don’t have employees you are not required to maintain workers compensation insurance. But just because it’s optional doesn’t mean it’s not worth looking into. You should also pay close attention to the laws in your specific area regarding contractors. You might find that you are responsible for that casual SEO contractor because she’s uninsured and performing work for your company. The primary purpose of this article was to get you thinking about where your potential liabilities might exist and what types of insurance you might give some consideration to. While it’s possible to insure against most risks and liabilities, it’s not always affordable. Depending upon what type of work you’re doing with WordPress and in what capacity, you’ll find that your insurance needs will change. Before making any decisions regarding insurance, it’s a good idea to get opinions from more than one source. Insurance can get expensive rather quickly so it’s often a case of finding an appropriate balance. Just remember that the day you really need it, the cost will seem relatively inexpensive. If you currently maintain any form of insurance, how did you decide what was most important for your WordPress business? Just a few decades ago, if you needed to find a local business, you’d probably open up the phone book. These days, you’re almost certain to turn online. The slow death of the phone book industry. The fundamental importance of a business’s website to its overall success. Today, of course, we’re going to be focusing on the latter. If you own a business, your website is, more often than not, the place your customers will find out about you – who you are, how to find you, the services/products you offer. As such, you could argue that your website is one of the most important aspects of your business to get right. But what does a business website need? What functionalities should it support? If you want to know the answer to these questions, read on! Today, I’m going to introduce you to 16 WordPress plugins for business websites. To avoid listing too many similar plugins, I’ve decided to focus on one plugin for each functionality, which means I’ll be providing the full spectrum of business website functionalities. The plugins I’ve picked are all targeted at businesses with an offline presence, but many of them will be equally applicable to online businesses and even bloggers. With this in mind, there should be something for all WordPress users listed here. Looking to enhance your search engine rankings to attract more visitors? It all starts with on-site optimization. I strongly recommend that all WordPress websites install an all-in-one SEO plugin. My personal choice would be WordPress SEO by Yoast – and with over 19.5 milliondownloads, there’s a lot of WordPress users in agreement. The plugin allows you to work through a pre-configured SEO checklist to ensure you’re fulfilling all SEO best practices. Included in the plugin’s impressive list of features is custom meta descriptions, XML sitemap creation, and RSS optimization. As Dan stated in his recent post on boosting eCommerce conversions, to boost total conversions you need to find new visitors or increase your conversion rate. Well, SEO by Yoast focuses on the former, attracting the new visitors you need to boost overall conversions and your business’s bottom line. Not bad for a free plugin, huh? Alternative plugins: All-in-one SEO, SEO Ultimate, Premium SEO Pack. If you have an offline, brick-and-mortar presence, the SEO rules are slightly different. Certain businesses will only have a local reach, so it’s fundamentally important that your website appears for local searchers. Type “hairdressers” into Google to see what I mean. The top results will not be international or even national, but businesses local to you. All of this happens automatically, reflecting the needs of the searcher. If you want your business featured in local searches, I recommend another Yoast SEO plugin: Local SEO. As well as this, Local SEO allows you to add your company’s address and opening hours onto your contact page. The plugin will convert this information into the relevant Schema.org markup, allowing Google to display this information as a rich snippet alongside your search result. You can also use Local SEO to add Google Maps to your website, which saves you the trouble of installing a dedicated Google Maps plugin. If you run a local business, don’t underestimate the importance of targeting local search results — consider the plugin’s $69 price tag to be an investment. Alternative plugins: WordPress Local SEO, Local Business SEO. The speed of your website impacts user experience and also where you rank in the SERPs – Google consistently re-iterates that speed is a ranking factor. As such, I strongly recommend that you take website speed seriously. After all, do you really want your brand associated with a sluggish website? There are loads of plugins that target different elements of a website’s speed. If you want an all-in-one solution, however, WP Rocket is a great option. That means that all the important speed optimization functionality your business website needs is fully supported. Remember: fast website = happy customers. Alternative plugins: W3 Total Cache, WP Smush.it, BJ Lazy Load. The search engines aren’t the only way for people to find you. If you publish compelling content and your customers love what you do, you can attract a lot of traffic via the social channels. This requires a social media plugin, of course. I know I’m biased, but, even objectively speaking, Elegant Theme’s Monarch plugin is one of the very best social media plugins available. Monarch allows you to add colorful, stylish social sharing buttons to your website. You can add the sharing buttons in five different locations, plus there’s an impressive 20+ social networks supported so that you can target all the main social channels. The plugin has minimal impact on load times, plus you can monitor your social sharing figures via the comprehensive dashboard statistics. Alternative plugins: Easy Social Share Buttons, Floating Social Bar, Ultimate Social Deux. Many potential customers will get their first impression of your business from your website. With this in mind, you need a website that looks stunning, is memorable, and reflects all of your core values. And, despite thousands of WordPress themes in existence, does any theme really encapsulate all of your business’s ideals? I doubt it. As we’re focusing on plugins today, I’m going to be taking a look at the latter. 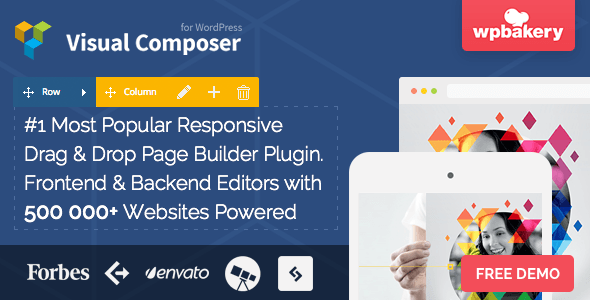 And, with almost 80,000 sales (making it CodeCanyon’s best-selling plugin of all time), I’m going to recommend Visual Composer. Visual Composer allows you to construct beautiful custom layouts with either the front- or back-end editor. There are 40+ predefined layouts and 45+ content elements to choose from, giving you the flexibility you need to add the aesthetics and functionality your pages need. As a result of its popularity, there are many third-party Visual Composer extensions available, allowing you to add even more content elements. Alternative plugins: Beaver Builder, Themify Builder, MotoPress. If you want your website to grow and thrive, you need to defend it from the most common security vulnerabilities. Perhaps website security lacks the glamour of some of the other functionalities featured today, but it’s arguably the most important of all. This is especially true for business websites, as security breaches reflect badly on your brand. With this in mind, all websites need a good security plugin. My choice? An all-in-one option like iThemes Security Pro – a free Lite version is also available. iThemes Security Pro helps protect your website from the most common security breach: brute force attacks. This is achieved by enforcing strong passwords, hiding your login page, and also restricting the number of failed login attempts. You can also use the plugin to lock out bad users, notify you of any file changes, and lock your WordPress admin area during hours you know you won’t be using it. Alternative plugins: All in One WP Security & Firewall, Sucuri Security. A broken website – or, worse still, a crashed website – is not the best first impression, is it? When things go wrong, having a back-up of your website will prove invaluable – and things can go wrong, even with an excellent security plugin installed. Back-up plugins allow you to restore your website to its former glory in a matter of minutes. There are lots of great options out there, but my advice would be to go with a name you can trust – in this case, Automattic’s VaultPress service. At least then, if bad luck strikes, you know you’re protected. Alternative plugins: BackupBuddy, BackUpWordPress, BackWPup. Now that we’ve covered security, SEO, and speed, let’s start looking at how you can drive more customers for your business. Around since the internet’s earliest days, email marketing has stood the test of time and remains one of the most effective ways to make money. I’m guessing you want your business to make money, right? Then you need to start collecting emails and building an email list. To grow your list in the most efficient manner possible, we need to turn to another plugin in the Elegant collection: Bloom. Pop-ups are proven to be the most effective at generating conversions as they command maximum attention from visitors. They’re known for being intrusive, however, and so Bloom lets you pick the perfect time to display your pop-up opt-in forms – time delayed, scroll delayed, after inactivity, after commenting, and after purchasing. Alternative plugins: OptinMonster, Ninja Popups for WordPress, Optin Forms. After securing a subscriber, the really hard work begins: converting someone withsome interest into a paying customer. Your success will be determined by the quality of the emails you send out. And, in my opinion, aesthetics is a component of quality, so you’d better make sure your emails look good. 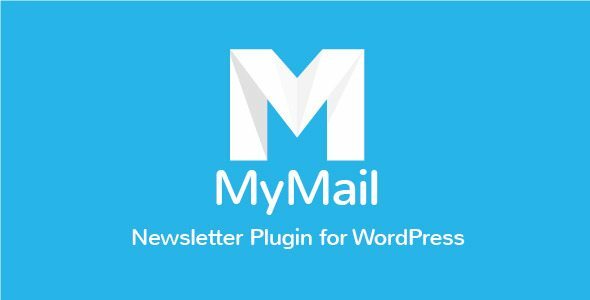 If you want to craft stylish newsletters in WordPress, you need the MyMail plugin, available for $39 from CodeCanyon. You can use the plugin to build beautiful, custom newsletter layouts courtesy of the intuitive drag-and-drop interface. The plugin also tracks all your important email metrics. Alternative plugins: SendPress, MailPoet Newsletters. Of course, if you want to run a successful business, you’re going to want an easy way for your potential customers to get in touch. For this, you need a contact form plugin. I’ve suggested a lot of premium plugins so far, so how about a free one? The classic and ever-popular Contact Form 7. Contact Form 7 is intuitive to setup, allowing you to build an unlimited number of forms. You can also add advanced fields to your form, including drop-down menus, dates, and CAPTCHAs. Alternative plugins: Gravity Forms, Ninja Forms, Fast Secure Contact Form. Customer service is an afterthought for many business owners, but it’s something that’s deeply important to your customers – if anything goes wrong, it’s likely the quality of your customer service that resolves the problem. If you want to offer enhanced customer service on your website, adding a live chat functionality to your website is a great place to start – it’s the quickest way to get a response, after all. If your business is large enough to justify it, live chat is a must. Not only does it offer the aforementioned reputation-enhancing customer service, you can also use the live chat to answer any pre-sales questions and nullify buyer objections. We’ve talked about live chat in great detail already, so allow me to recommend my preferred plugin, Pure Chat. The plugin allows you to extensively customize your live chat windows’ appearance on your website, plus you can handle all live chat conversations from the stylish Pure Chat interface. Alternative plugins: WordPress Live Chat Plugin, WP Live Chat Support, Zopim Live Chat. Online users decide within a matter of seconds whether a website is right for them. In other words, first impressions matter. A lot. The Video Intro for WordPress plugin allows you to greet visitors with a full-screen video. If you’ve spent a lot of money on an engaging video advertisement for your business, this is the perfect time to show it. Visitors are redirected to your homepage upon completion of the video, or they can get there more quickly by skipping it. You can customize the frame around the video to match your branding, and also display your logo prominently at the top of the screen. 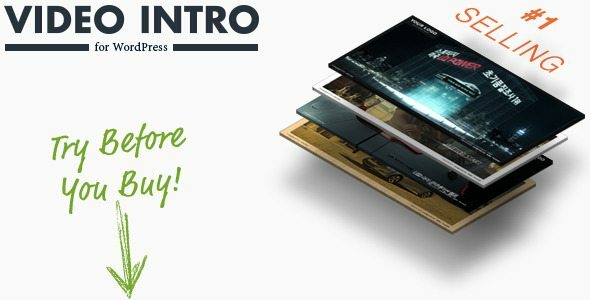 Alternative plugins: WP Mega Intro, Video Intro for WordPress Lite. If you run a business, professionalism is king. Everything you do will shape how your business is perceived, and so you have to put your best foot forward at all times. One example of this is when you’re updating your website – something we all have to do from time to time. Now, a site full of work-in-progress, placeholder text, and broken elements is hardly going to impress visitors, is it? If someone visits your website during this time, your business is going to look more than a little amateurish. So what’s the solution? Well, it’s relatively simple: display a maintenance mode landing page. It’s not ideal, but it’s a huge improvement on a half-finished website. If you want to add a maintenance mode screen, I recommend Elegant’s Anticipate plugin. Simply activate maintenance mode and your visitors will see a simple, stylish maintenance mode page. This gives you the opportunity to work on your website in private. Alternative plugins: WP Maintenance Mode, Ultimate Maintenance Mode,Maintenance. Continuing with the theme of professionalism, this time I want to look at broken links. For visitors, a website littered with 404 errors suggests ineptitude – if you can’t keep your website working, how will you manage to fulfill your customers’ needs? With this in mind, broken links will turn away your visitors in droves. That’s not something any business can afford to do. If you want to keep your website running smoothly, the free Redirection plugin is one of the best ways to fix 404 errors. This is done by manually configuring 301, 302, and 307 redirects to point visitors to the right place. Not all 404 errors are your fault, though: some are caused by mistyped external links. Redirection will automatically monitor for fresh 404 errors, allowing you to quickly resolve any problems. Alternative plugins: Quick Page/Post Redirect Plugin, Safe Redirect Manager. Content marketing is a great way to grow your business. Not only does publishing great content help you gain visibility in the search engines, it also reinforces your expertise within your industry, and this in turn will attract more customers. Publishing great content is a labor-intensive and time-consuming job, however. If you need a helping hand, look no further than CoSchedule, an all-in-one content marketer’s dream. CoSchedule supports its own editorial calendar functionality, allowing you to use drag-and-drop to reschedule your posts. Beyond this, it can also be used for scheduling social media posts – sync CoSchedule up with your social media profiles, and you can write and schedule social posts from within the WordPress admin. Want more? You can also use CoSchedule to collaborate with other team members, schedule social shares for your recently published content, and also to give your older posts a push. Alternative plugins: Editorial Calendar, Revive Old Post, Buffer. So you’ve put together a beautiful website. It’s fully functional, lightning quick, and it attracts hordes of visitors. You’re heading in the right direction, but now you need to get your visitors to pull out their wallets and become paying customers. What you need is a call to action (CTA). A compelling CTA encourages visitors to perform a desired action – perhaps making a purchase, giving you a call, or subscribing to your email list. An effective CTA eliminates indecisiveness by telling your visitors exactly what they should do, and this has been proven to boost conversions. WordPress Calls to Action is a fantastic free plugin that allows you to do just that. The plugin lets you create pop-ups and widget boxes that encourage visitors to take your desired action – and as you can add custom text to the boxes, this “action” can be anything you want. To help get you started, the plugin includes a number of pre-configured templates, plus you can continuously improve results with built-in A/B functionality. By considering all the plugins featured in today’s list, you should be able to give your business website all the functionality it needs to satisfy customers and stand above the competition. Of course, this is just a work in progress, and now I need your help. What other WordPress plugins do you think are essential for business websites? Share your thoughts in the comments section below!